Spinning is an exercise that can be enjoyed by people of all ages. Done regularly, this indoor cycling can improve both your physical and mental health. From losing weight to relieving stress, here are seven benefits of spinning. 1. Low impact – While running is great for your cardiovascular health, it can be tough on your legs, knees, ankles and feet. Spin gets your legs moving and your heart pumping without pounding on your joints, resulting in a smoother, lower impact form of cardio. 2. Low risk of injury – While certain other forms of exercise have a higher risk for injuries such as overstretching, joint injuries, sprains or muscle tears, spin prevents these types of injuries. 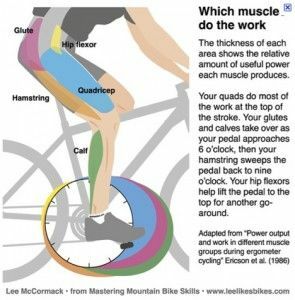 As you cycle, you guide your own movements and leave the pressure off of your joints. 3. Weight loss – Spinning will help you blast through calories, resulting in weight loss. In one hour of spin class, you could potentially burn up to 600 calories! 4. Toned muscles – Your legs aren’t the only muscles working during a spin workout. Spinning uses every single part of the body, building strength and toning all muscles. 5. Improved cardiovascular health – Spinning uses the largest muscle group in your legs, raising your heart rate and pumping blood through your whole body to build stamina and increase cardiovascular fitness. This also helps aid in heart disease prevention. 6. Stronger immune system – Studies show that during exercise, the number of immune system cells circulating throughout the body rises. Therefore, cycling regularly helps the body become more vigilant of bacteria and viruses that can cause sickness. 7. Stress reducer – Spin isn’t just good for your physical health. As with any type of exercise, according to scientific research, spin helps to relieve stress and improve your overall mental health state.